- Because the report was based on interviews with internet users, in countries like the Netherlands and Sweden it was more or less a sample of the entire population, but in places like Bulgaria where internet penetration is lower it was a different sample - people with internet access there are not necessarily representative samples of the rest of the population. - 48% of users read English online, 29% actually wrote in it. As always, lurkers and passive users are more common. - 9 out of 10 users said they always visited websites in their own language if they could. 53% said that an English-only page would be acceptable if they couldn't use it in their own language. - Malta was the most willing (97%) to read sites in English if they couldn't be found in Maltese, no surprise at all considering how hard it is to find Maltese content online. - Latvians and Bulgarians used the internet the most frequently, with 69% of internet users using the internet several times a day. Least frequent were Italian users at 33%. - 44% of those in the EU only use their own language online. In the UK this is 85% (no surprise), and in Malta it's 7%. Hungary is interesting at 48%. 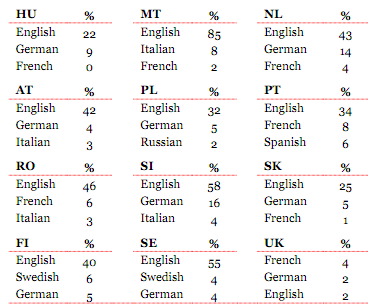 - Of these languages, the one that respondents said they used 'all the time' the most is a bit surprising: Swedish at 24%. This is most certainly due to respondents from Denmark (since Norway's not included). Edit: forgot about Finland, where Swedish is also an official language. After that is Spanish at 21% (probably due to Portugal). 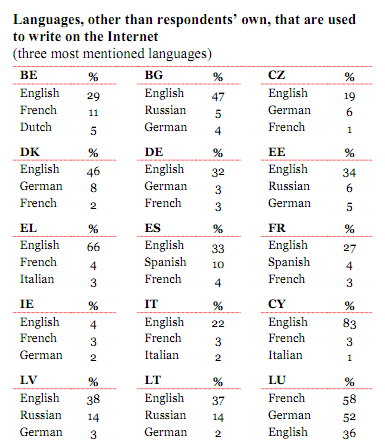 The L2 that people said they used the least ('occasionally') is Polish - 73% of those who claimed to use Polish said that. Meanwhile, 'all the time' for Polish was 12%. The other languages by country part is the most interesting. For example, the country that uses Spanish as an L2 the most is....Portugal at 14%. Spain is a bit weird because 12% report using Spanish as a non-mother tongue. Technically true, but not helpful in knowing what the top three other languages used by Spanish speakers are. Kind of the same for Luxembourg where French and German are included as foreign languages, even though they are official languages there and used all the time. Besides this, the country that uses German as a foreign language the most is unsurprising: Netherlands at 29%. I still haven't looked over the entire report bit in the meantime, here's the part mentioning L2 usage online for various countries. - The activities that people carry out in an L2 is particularly interesting. The category most often referenced was getting information and reading the news, an activity that doesn't require a particularly high level of skill. The most interesting though is the activity least frequently carried out in an L2: banking. Acquiring passive information in another language in an L2 is one thing, managing your money is something else. 74% said they never banked in an L2. 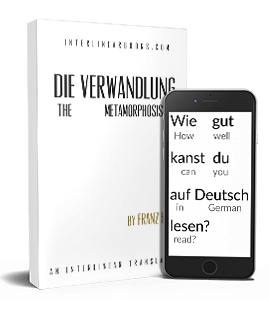 Also keep in mind that since German and French are counted as foreign languages in Luxembourg for this survey (they shouldn't), 'never' should be even higher than this. People in Luxembourg surely don't bank in Spanish or Portuguese, for example. Later on in the report it shows the amount of banking done in other languages by country, and this backs up the suspicion that Luxembourg has biased the numbers a bit. Malta comes first though, with 47% saying they banked in another language all the time and 15% frequently. For Luxembourg it's 23% all the time and 23% frequently. After that are Cyprus and Latvia, and after that every single country has at least a 60% 'never' response rate to banking in another language. The countries that never bank in a foreign language the most: Romania (80%), Denmark (80%), Finland (82%), France (82%), Germany (81%).